Mission Valley offers something for everyone. If you are looking for fun or shopping, or you simply want to enjoy a long relaxing walk along the Presidio or the Historic Park, Mission Valley is the place to be. It’s ideal for families with small children, but young professionals also find this area entertaining, peaceful, and welcoming. Like many other communities in San Diego, Mission Valley is experiencing a transition from traditional homes to the more modern and more comfortable ones. What’s more, enhancing a home’s functionality goes hand in hand with upgrading its design and appeal. This is why more and more homeowners are opting for home remodeling and renovation in Mission Valley over new home construction. The kitchen is by far the most important room in your home in terms of both practical and social functionality. Not only does it have to be spacious, well-designed, and feature energy-saving kitchen appliances, but it also has to be a welcoming place for your family and friends to gather and spend quality time. Sometimes only a part of your kitchen may need an upgrade, while other situations might call for a complete kitchen overhaul. In either case, our team of experts can handle the job. When kitchen cabinets are in need of a facelift, installation of custom cabinets can be a great alternative to a simple refinishing job. When coupled with new light fixtures and upgraded appliances, your fresh new kitchen will radiate personality and charm, and serve as a welcome gathering place for guests and family alike. Murray Lampert Design, Build, Remodel has built our reputation through commitment to San Diego homeowners since 1975. Our work is impeccable, our staff is highly trained and experienced, our prices reasonable. As a result, our reputation as San Diego’s top design-build contractor shines through in each client testimonial and project review we receive. Apart from client praise, we’ve also earned professional recognition from some of the most reputable institutions in the home remodeling industry. The 2015 Guildmaster Award was awarded to us for exceptional customer service and dedication to San Diego residents. We’re also proud to have won four Better Business Bureau Torch Awards, which stand as proof of our commitment to marketplace ethics and doing things the right way. 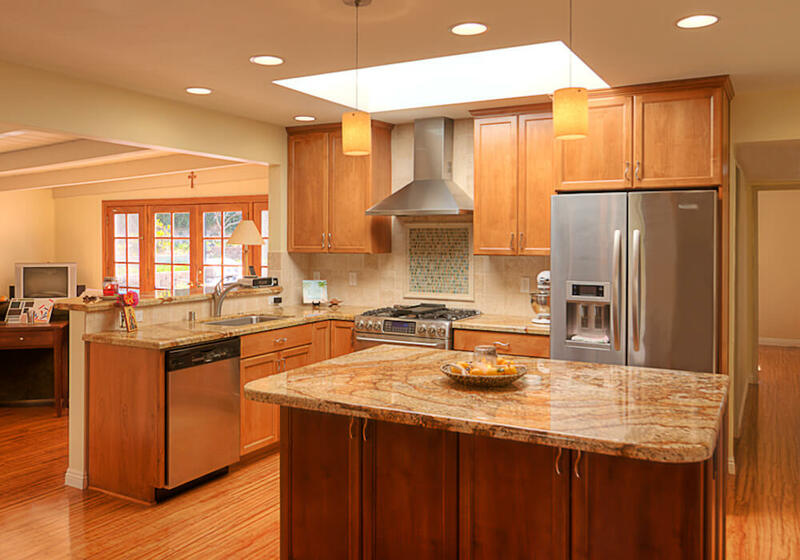 If you’re looking for a trustworthy partner to take the lead on your San Diego kitchen remodel, we’d love to work with you. Our experienced team is ready to build you the kitchen of your dreams! Contact us today for more information, or to schedule your free in-home consultation.